Domestic noir at its best. Readers will devour this stunning page-turner about the disintegration of a marriage as grief, jealousy, betrayal and murder destroy the facade of the perfect literary couple. New York Times bestselling author J.T. 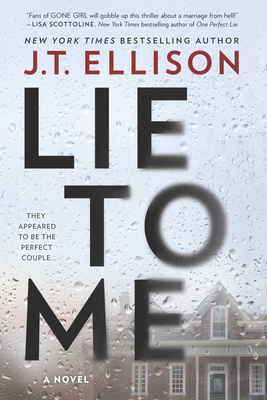 Ellison takes her exceptional writing to a new level with this breakout novel.They built a life on liesSutton and Ethan Montclair's idyllic life is not as it appears. They seem made for each other, but the truth is ugly. Consumed by professional and personal betrayals and financial woes, the two both love and hate each other. As tensions mount, Sutton disappears, leaving behind a note saying not to look for her.Ethan finds himself the target of vicious gossip as friends, family and the media speculate on what really happened to Sutton Montclair. As the police investigate, the lies the couple have been spinning for years quickly unravel. Is Ethan a killer? Is he being set up? Did Sutton hate him enough to kill the child she never wanted and then herself? The path to the answers is full of twists that will leave the reader breathless.